Despite the decline registered since 1994, bananas remain Honduras’ second most important product for export, only behind coffee. A drop in this category would entail a significant impact on the economy, as the currency flow would be reduced. Furthermore, it could also take a toll on job creation, especially in the north of the country, where the banana plantations are located. Outside Olanchito in northern Honduras, banana farmlands along the Aguán River. The authorities of the Secretariat of Agriculture and Livestock (SAG) have warned that the entry of a fungus could severely affect the country’s banana plantations. Figures from the Central Bank of Honduras (BCH) reveal that the fruit’s exports in 2014 amounted to 33 million 40 pound boxes, which generated 456 million dollars in revenue for the country. This figure shows that banana exports last year dropped by 6.9% compared with 2013, when sales amounted to 35.5 million boxes worth 490.1 million dollars. In 2014, the fruit accounted for 11.2% (456 million dollars) of the foreign exchange generated by exports, which totaled 4,069.7 million dollars. Meanwhile, in April 2015, the category registered a 12.1% increase in foreign exchange generation, with 165 million dollars made from the export of 10.9 million boxes compared with 145 million from 10.2 million boxes in the previous year. The contribution of this agricultural product to the total volume of exported goods was of 10.7%. 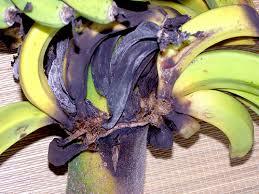 The entry of the Fusarium fungus could have a significant impact on the volume of bananas exported. In Honduras there are 20,000 hectares of banana plantations, 3,000 of which belong to independent producers, with the rest shared between Dole and Chiquita; corporations that buy produce to export it to the United States, the largest buyer of Honduran fruit. Dole exports more than 25 million boxes from Honduras, while Chiquita ships some 12 million boxes overseas, specifically to the United States, with 4 million boxes purchased from independent producers. Some plantations are located in Casmul, San Manuel and Cortés; then we have the Agricultural Company Los Olivos and Los Llanos, with facilities in Higuerito and Santa Cruz de Yojoa, as well as in El Progreso. 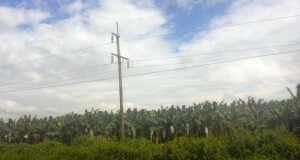 For decades, the banana sector has been a source of employment for hundreds of men and women. According to data supplied by the organizations, there are 3,000 banana workers organised in unions, with a total of 9,000 labourers in the entire banana sector. Honduran bananas have conquered three major destinations. According to the BCH, 94.6% of the export volume (31.2 million boxes) was marketed in the United States, which has historically been the main market for this fruit. When compared with the results recorded in 2013, a drop in volume has been observed, as exports this year have amounted to 33.5 million boxes (94.4%). The second largest market for Honduran bananas is Central America, where 1.2 million boxes were sold in 2014, or 3.6% of the total marketed. Compared with 2013, a slight increase in export volumes has been observed, with about 900,000 boxes sold. The third destination is the European Union (EU), which received 557,000 boxes, representing 1.7% of all banana exports. Exports to the EU experienced a drastic 44.3% fall compared to 2013, when more than a million boxes were shipped. In 2014, Central America took over the EU’s position as second largest export destination for the fruit.